Beautiful Wines, combined with great food and music. This Friday it’s the Fabulous Michele Van Kleef bringing her great voice (and parents) to the tasting room. And it’s our Chef’s special Roasted Rosemary Chicken served with Cucumber Salad from the family’s organic farm. 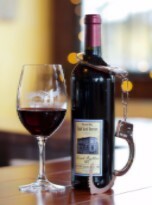 Plus other goodies too…..
2013 Bank Robber Red– our latest edition is everything you expect. Deep, rich, smooth and delicious! 2015 Salmon Safe Chardonnay– a fantastic year! Light, crisp and perfect for food. Bank Roll White– it’s back! (finally) our vineyard blend of Gris, Chard and Riesling is off dry with great nose and finish. The Tasting Room is Open Fridays 12-8, Saturdays 12-6 & Sundays from 12-5pm. See you soon!